Modern Indonesia was mapped by Dutch traders in their obsessive search for precious spices. After a near-disastrous first voyage in 1595, spice routes were opened up to Holland – and led to the birth of the Dutch East India Company. This is the story of the rise of the Vereenigde Oost-Indische Compagnie – the VOC – and its spectacular fall from grace. Before the vanguard of the United East Indian Company – the Vereenigde Oost-Indische Compagnie, or ‘VOC’ – landed on Java in 1595, the Malay archipelago was already a booming trade zone. The East Indies – now modern Indonesia – was a melting pot of missionaries, traders and adventurers selling religion, spices and gold. 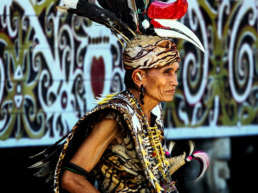 From the earliest Indian, Chinese and Arabian merchants to the Portuguese who arrived late in 1511, the Indonesian people were no strangers to outsiders. 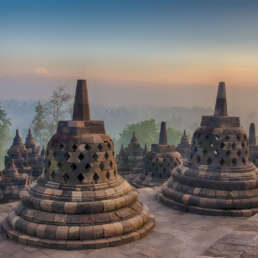 Setting foot on Indonesian soil for the first time, the Portuguese would have found a geographically-fractured collection of volcanic islands split by warring kingdoms – but joined together by a common desire for maritime trade. 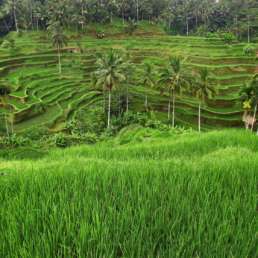 The islands’ heady perfume of exotic spices drew Spaniards, Dutch and the English to Indonesia’s shores in search of riches. But it was the Dutch, under the freelance flag of the VOC, who would eventually lay the foundations for the modern Indonesian state. Map of VOC presence in Indonesia: Banten, Jakarta and Yogyakarta (Java), Makassar (Sulawesi), Ternate, Ambon and Run (Maluku islands). 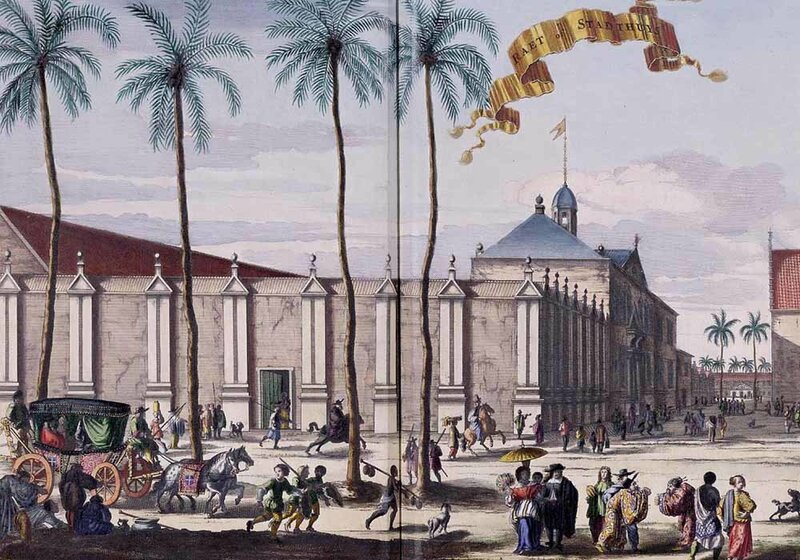 The Vereenigde Oost-Indische Compagnie – known to the English as the Dutch East India Company – was the first ever private company owned entirely by its shareholders. It was the original multinational corporation, and the first ever company to issue stock. 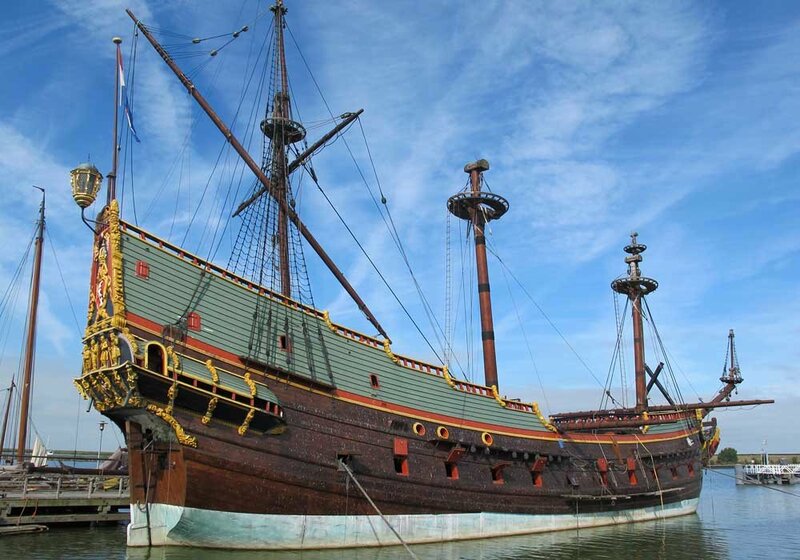 Over the years, the VOC stretched from America, Africa and Japan to the East Indies. Its goal: to make as much money as possible. They achieved this beyond their wildest dreams – if the VOC was around today the company would be worth around $7.5 trillion (the number calculated for inflation), which is 10 times more than the present valuation of Apple or Google. But it was the VOC’s desire for vast wealth – and their subsequent greed – that saw the company go bankrupt 200 years after it was formed. 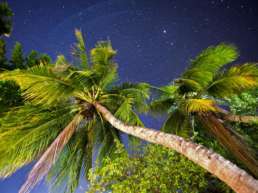 In 1595, the first Dutch trip to the fabled Spice Islands almost ended in catastrophe. Relying on maps stolen by Dutch spies from Chinese and Portuguese traders, Commander Cornelis de Houtman’s fleet of four ships made landfall in Banten, West Java – more by luck than seamanship. After killing Javanese and Portuguese traders in Banten and having a dozen of his own crew murdered off the coast of Java, it seems the VOC’s later karma was set when de Houtman’s men landed on nearby Madura island and murdered a local prince. But despite having lost half of his crew to murder, disease and drowning on his virgin voyage, de Houtman sailed back to Holland with exactly what he came for: a direct route to the East, spices to sell, and the promise of a fortune. By 1598 increasing numbers of Dutch fleets had set sail for the East Indies in search of cloves and nutmeg, and they began to fan out across the archipelago from Maluku to Ambon. Spices began to change hands in Amsterdam and Rotterdam at profits of over 400%. But one-off voyages were high-risk both in terms of lives lost and money gambled. After all, they weren’t the only adventurers after the golden spice: the English and Portuguese were in direct competition with the early Dutch expeditions. In 1602, the Dutch government copied the British trading model of the English East India Company by sponsoring the Vereenigde Oost-Indische Compagnie, or the United East Indies Company – and in 1602 the VOC was born. It was to last less than 200 years. In 1610, the VOC created the post of ‘Governor General’ in the East Indies and the ‘Council of the Indies’ at home in Holland to oversee its private financial affairs. Back in the cities of Holland, the VOC’s main shareholders – the Heeren XVII, a group of 17 highly influential men – made sure that they held overall control. Meanwhile in Asia, the first VOC headquarters found its feet in Ambon from 1610 to 1619. The Dutch East Indies Company was fast becoming organised – and it was looking for ways to squeeze out the remaining European players. If the VOC was around today the company would be worth around $7.5 trillion (the number calculated for inflation), which is 10 times more than the present valuation of Apple or Google. ‘Dutch East Indies, 1602-1949: Part I’ – The VOC’s role in the birth of a new Asian empire. 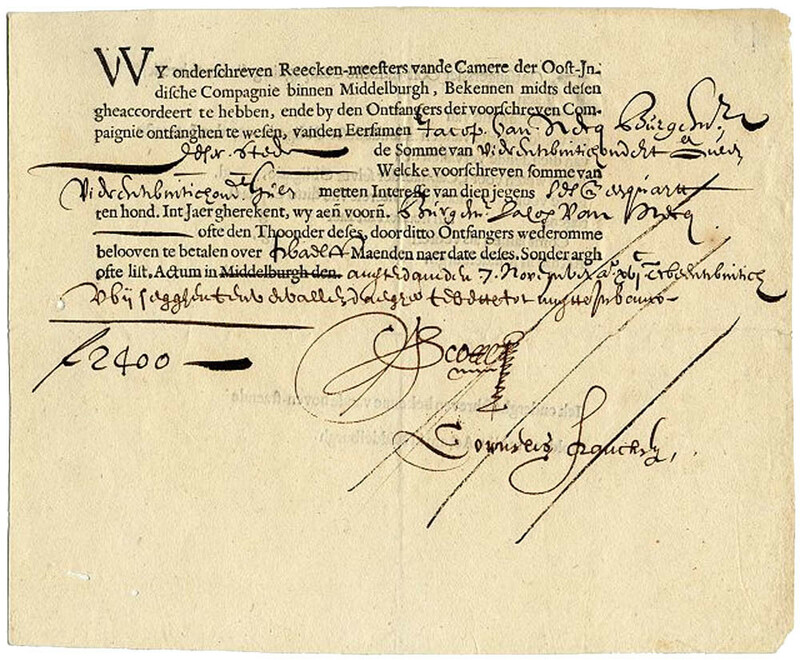 A bond issued by the VOC for the amount of 2,400 florins, dating from November 7, 1623. Dutch trading vessels and other ships off the coast of Batavia, circa 1665. Days gone by: the Dutch City Hall and daily colonial life in old Batavia. 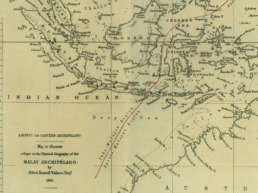 A VOC-era map of the Banda Islands in the Maluku archipelago. The Dutch VOC, now led by the infamous Jan Pieterszoon Coen, had the East Indies spice trade almost to themselves. For a band of men intent on creating enormous wealth at any cost – and given no political or moral limitations by shareholders back home as to how they made it – the 17th and 18th centuries were carte blanche for the VOC. Coen’s Dutch East India Company had free reign to sign treaties, mint their own coins, imprison and execute at will, maintain private armies, wage wars, pass laws, build forts and seize land. But the newly-formed VOC had a thorn in its side. In 1604, a second English East India Company fleet had sailed to the spice markets of Ternate, Tidore, Ambon and Banda – and by 1617 had set up trading posts from Kalimantan to Sumatra – in direct competition with the Dutch VOC. The response was brutal. First, Coen and his men ransacked the West Javanese port-town of Jayakarta in 1619, renamed it Batavia (later Jakarta) and established their new VOC headquarters from its smoking ruins. 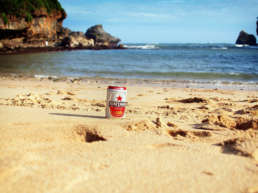 Meanwhile on the other side of Indonesia, Coen had also quickly recognised the importance of the Banda Islands as the only place in the world that grew the highly precious nutmeg tree – mother of nutmeg and mace. His VOC routed the small group of English settlers who had already begun trade on the tiny island of Run. 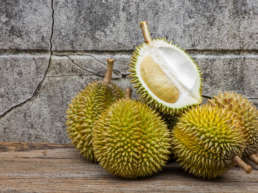 And after Coen had signed a deceptive agreement with local sultans, the VOC secured the rest of the Banda Islands in 1621 – with the execution of over 14,000 local inhabitants – to ensure a ruthless Dutch stranglehold over the globe’s only source of nutmeg. Two years later, in faraway Ambon – where representatives of the Dutch East India Company had signed a pact with its British competitors – ten members of the English East India Company were tortured and beheaded by the VOC in 1623. Both the Banda Island and Amboyna massacres were pivotal in leading to the quiet withdrawal of the English traders to the relative safety of India and China. Indonesia’s lucrative Spice World was now in the steel grip of the feared Vereenigde Oost-Indische Compagnie. 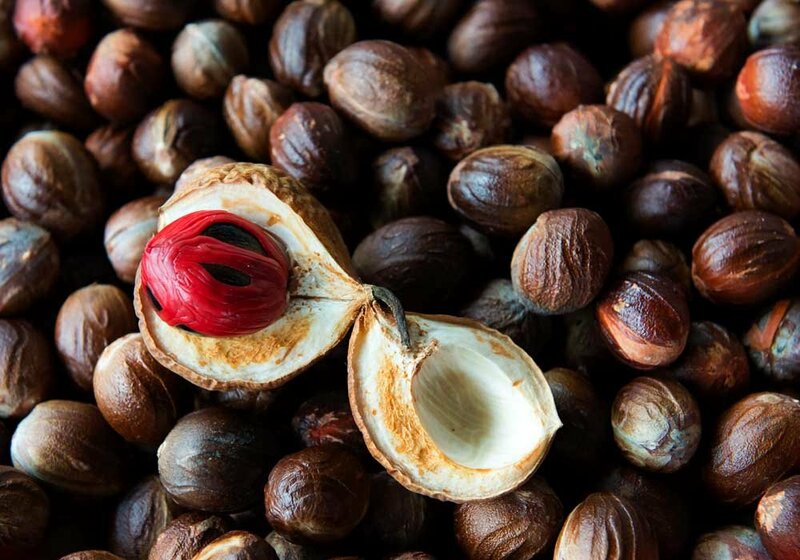 By the time the Dutch East India Company had been formed, nutmeg had already become the Number One spice in Europe. Considered an aphrodisiac and narcotic, it also disguised the stench of rotten meat – and was chosen as The Cure for Europe’s dark years of the bubonic plague. 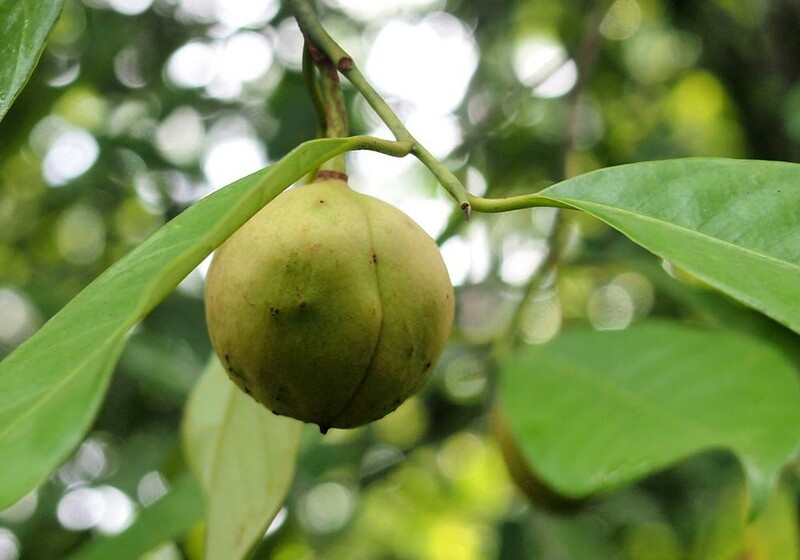 Nutmeg came at a price: European consumers paid 68,000 times its original cost at the world’s only source: the far-away Banda Islands of Indonesia. But the VOC had a problem over the nutmeg monopoly in the Banda Islands – and had control of all but one island, the tiny island of Run. English traders had beaten them there. 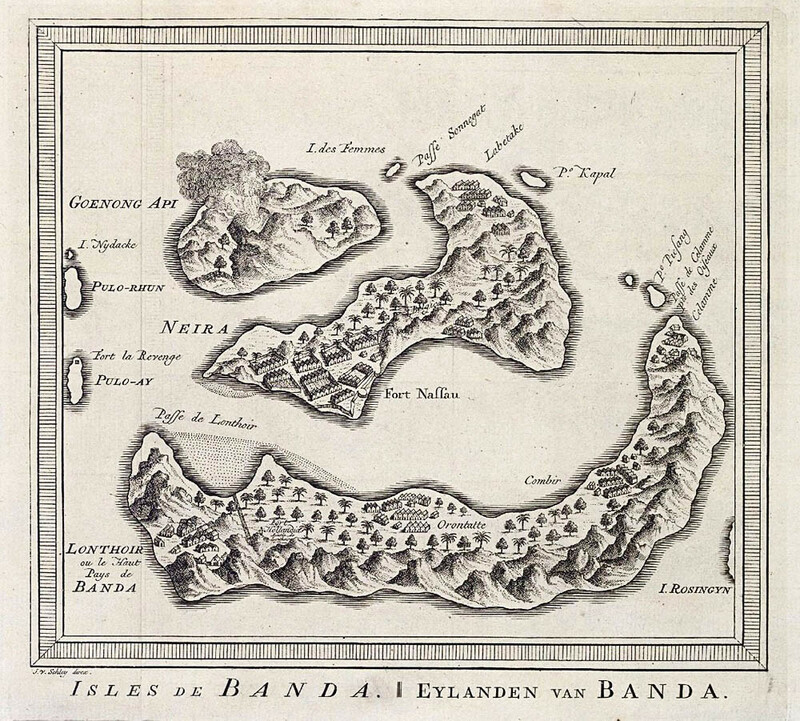 The VOC attacked Run in 1616, and after four epic years of resistance by a joint English-Bandanese force, the VOC were finally able to take the last Banda Island. But the English didn’t forget easily – and pressed for their claim to Run through two more Anglo-Dutch wars. At last it was agreed. The English would give up tiny Run for another insignificant, VOC-held island on the other side of the world – Manhattan, home of Nieuw Amsterdam – now… modern New York. Despite their communal greed – or perhaps because of it – the Dutch East India Company was fast becoming the richest and most ruthless private company the world had ever seen. Extortion and violent suppression remained its hallmark. By 1699, VOC lands claimed stretched from Sumatra and Ternate to Maluku and beyond. Slaves and opium were traded on Bali. Boatloads of nutmeg and cloves, pepper, sugar, tobacco and coffee snaked their way back to the lucrative markets of Europe. Under the protection of some 40 warships and a private army of more than 20,000 soldiers, the VOC’s 150 merchant ships and 50,000 employees were able to pay their shareholders an eye-popping dividend of 40% on their original investment. Business was booming. It seemed almost too good to be true. It was. Although all appeared healthy from the outside, the Dutch East India Company was rotting from within. Despite harsh penalties for private trading, it was commonplace for VOC employees to strike deals behind the Company’s back. Corruption was rife. So was competition: European demand for East Indies sugar had already declined after 1720 as Brazil flooded the market with a cheaper product. And back home in Europe, the Fourth Anglo-Dutch War had all but ruined the Dutch state. Three strikes finally sealed the fate of the Dutch East India Company forever. The first, in 1740 when a chaotic VOC massacre of 10,000 Chinese traders in Batavia rattled the confidence of shareholders back home. A second strike came when Frenchman Pierre Poivre (“Peter Pepper”) successfully smuggled nutmeg seedlings to the Caribbean in 1770 where the plants thrived – thus breaking the Dutch monopoly. 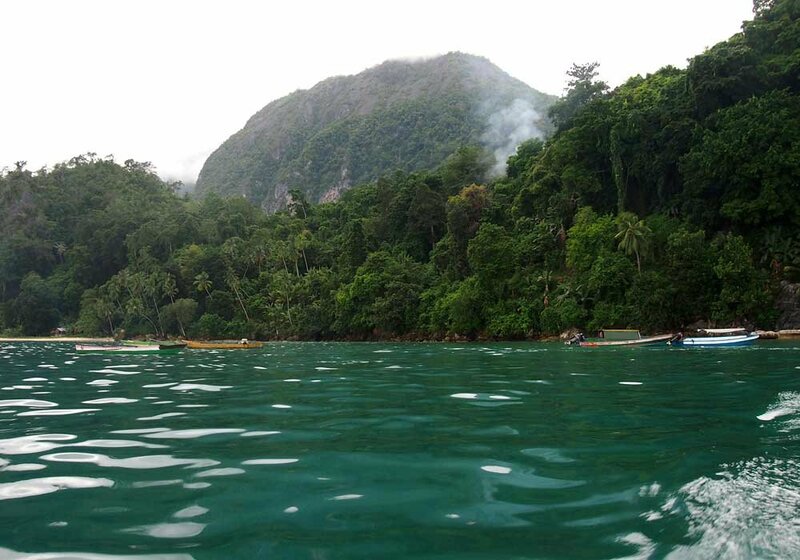 Strike Three came from Mother Nature herself in the form of a 1778 volcanic eruption that sent a massive tsunami crashing over half the nutmeg groves of Banda. The end was in sight. Perhaps it was karma. By 1799, the Dutch East India Company had become the victim of its own corruption – and went spectacularly bankrupt. Its assets and debts fell to the crown of Holland who assumed colonial power in the newly-named ‘Dutch East Indies’. But not before the VOC had sent over half a million men on more than 4,750 voyages to net more than 2.5 million tons of Asian goods in just 197 years. Brutal or not, the Dutch East India Company had been a roaring financial success. And as ruthless as they were, de Houtman and his successors had also unwittingly carved out what was later to become the Republic of Indonesia. The stamp of the VOC had made its mark. The VOC and their Dutch East Indies colonial successors weren’t afraid of sailing from one side of the vast Malay archipelago to the other – and in doing so laid down the political boundaries of modern Indonesia. From Banda Aceh in the west to Kalimantan and Sulawesi in the north, to faraway Ambon and Papua in the east along Java’s backbone in the centre, the early traders covered a lot of sea miles. 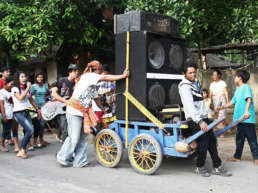 One of the longest-standing legacies of the VOC in Indonesia is the now-teeming, hectic capital city of Jakarta – home to some 16 million people. 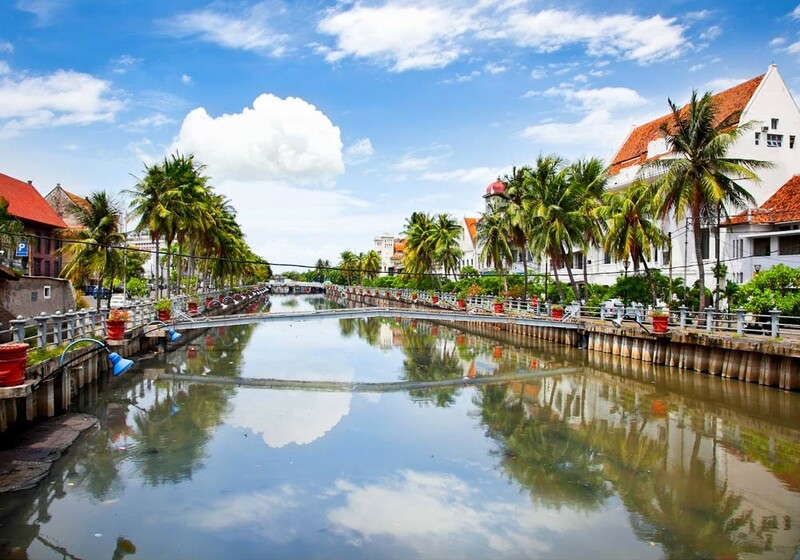 An insignificant Javanese port-town until the early Dutch traders arrived, the original Jayakarta was burned to the ground by Coen and Company in 1619 before being re-built as Batavia – after the Batavieren, or mythical Dutch ancestors of legend. 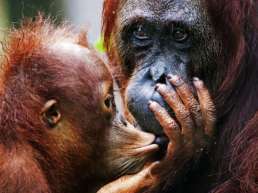 Which is why born-and-bred inhabitants of Jakarta now call themselves Orang Betawi. 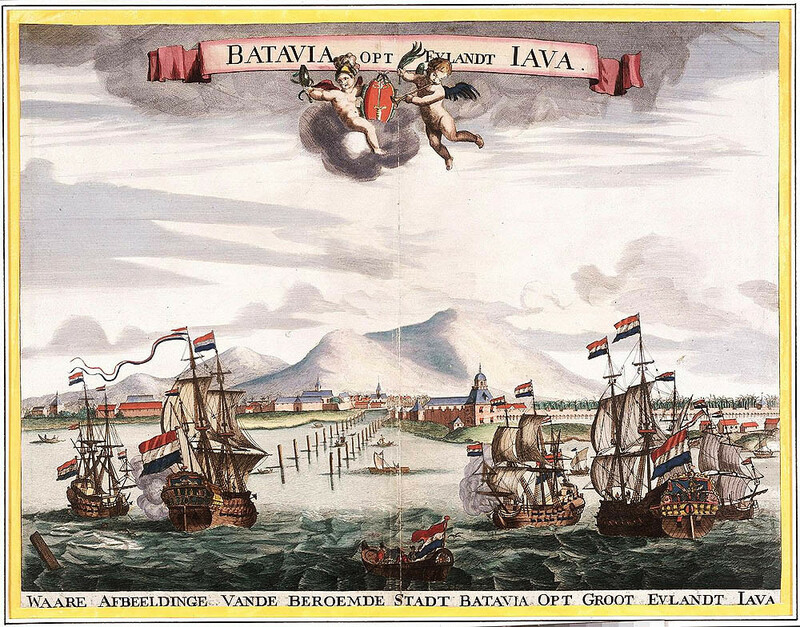 The VOC headquarters in Batavia was originally a walled city complete with fortress, churches, tree-lined streets and canals. 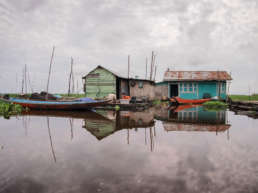 Jakarta’s canals – more suited to cool western Europe than the sultry, humid tropics – still survive, but continue to be a source of annual flooding and disease. 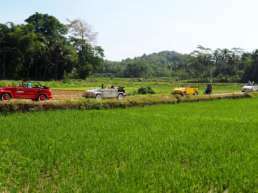 The introduction of cash-crops such as coffee, sugar and tobacco – despite using precious land otherwise needed to grow food – continues to benefit modern Indonesia. Who hasn’t enjoyed a smoke over a cup of sweet Java recently? The VOC-engineered ‘race pyramid’ – with the Dutch at the top, Javanese nobility just below, Chinese traders in the middle and the indigenous Malays at the bottom – was the perfect policy of racial ‘Divide and Rule’ to keep trade running smoothly. Strict racial segregation also kept a successive Dutch colonial government in power for another 150 years until disillusioned Indonesian nationalists ousted the colonialists in 1948. While Portuguese traders brought Catholicism with them in their sea-chests, the VOC was largely Protestant – which is why two of Indonesia’s six official religions are now Katolik (‘Catholic’), and Kristen (‘Protestant’). 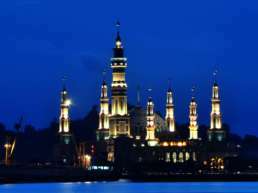 Protestants make up 6,9% of Indonesia’s population; Catholics just 2,9%. 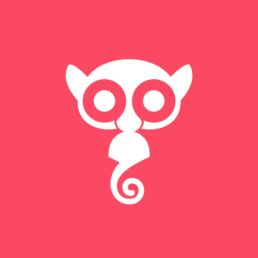 If you’re in North Jakarta, take a wander around Kota Tua, or the Old Town. Check out the VOC cannons in the square next to Café Batavia. Many old Dutch buildings are now in disrepair; but the nearby teeming port of Sunda Kelapa with its huge Makassar schooners is an impressive sight. 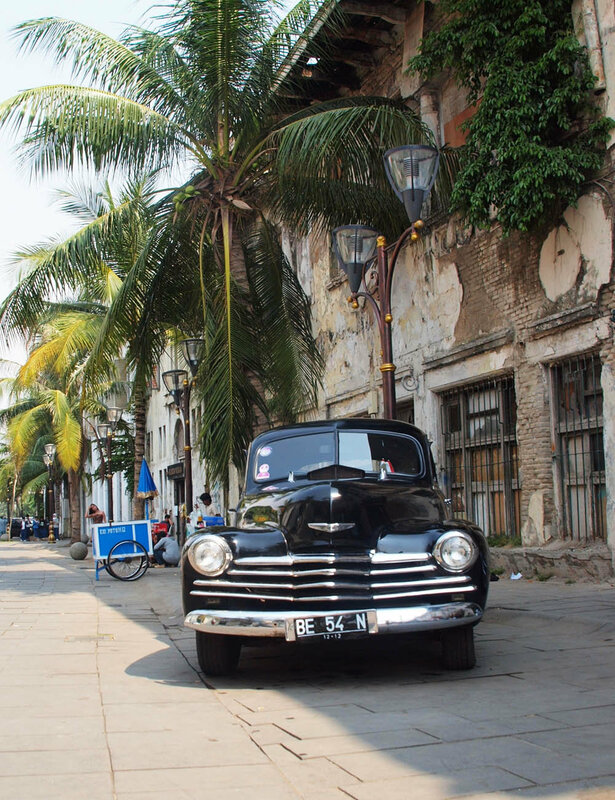 Hire a guide for a tour around Kota Tua’s Fatahillah Square for a dive into VOC and Dutch East Indies history. Further afield is Ambon’s Fort Nieuw Victoria – a Portuguese fort commandeered by the VOC – which was to become the Company’s first headquarters in the East Indies. The original fort was heavily damaged by an earthquake in 1754, and later rebuilt as Fort Nieuw Victoria. 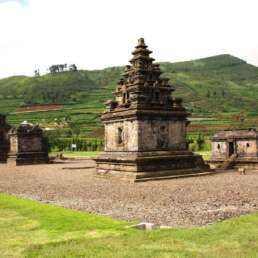 It is now closed to the public and used as a modern-day military garrison by the Indonesian army. 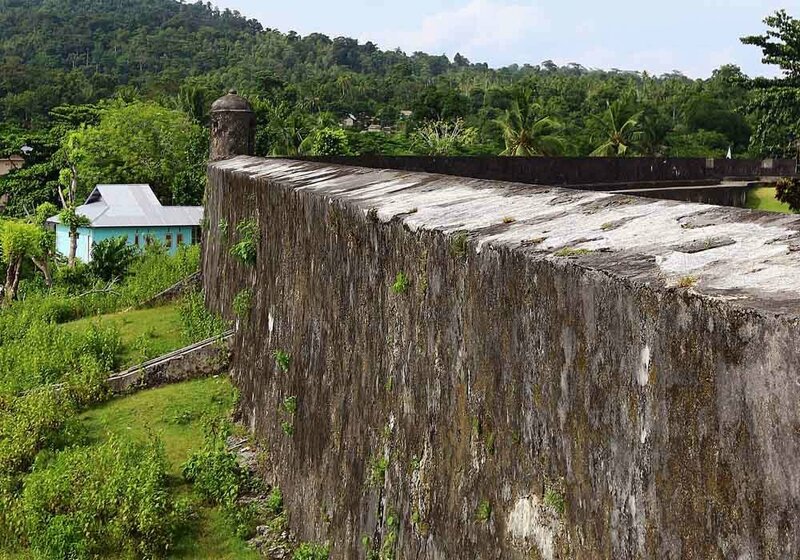 Also in Ambon is Fort Amsterdam – which started life as a Portuguese trade lodge before being expanded and converted into a VOC prison, an ammunition magazine and a small fort. Situated on the pretty west coast of Ambon in Hila Town, Fort Amsterdam has recently been restored and is open to the public. 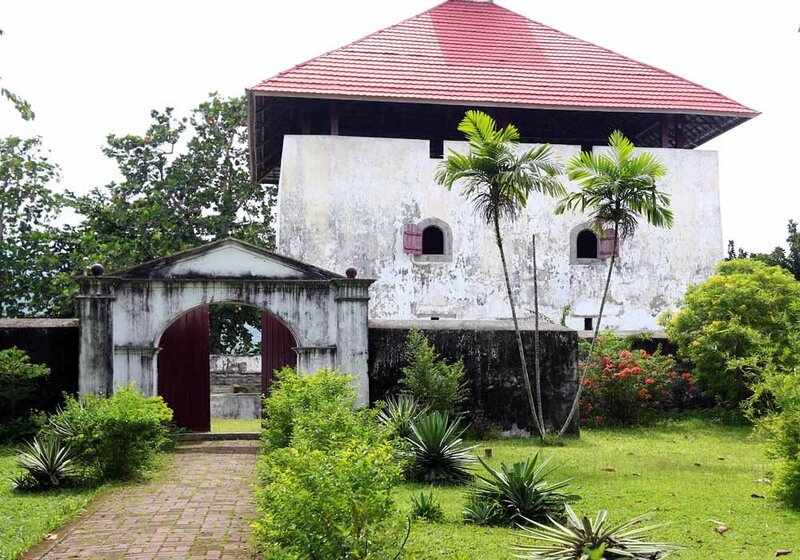 Perhaps the largest and best-preserved VOC fort is Fort Belgica on Bandaneira Island in Maluku’s Banda Islands. 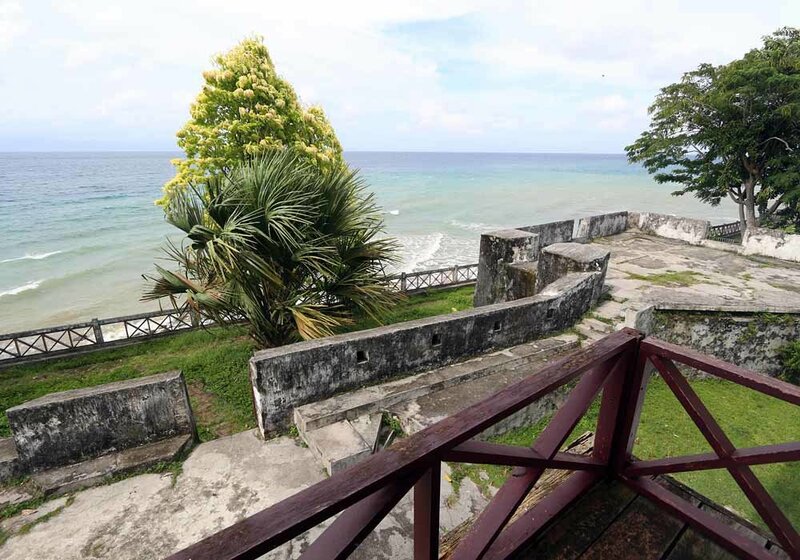 Dripping in spice history, Fort Belgica was built in 1611 and extensively redesigned in 1667. It is now a UNESCO World Heritage Centre. Despite boasting 50 cannons and a garrison of 400 men, Fort Belgica surrendered to the British in 1796 without a shot being fired. If you want to see a large European fort in the middle of the tropics, this is it. 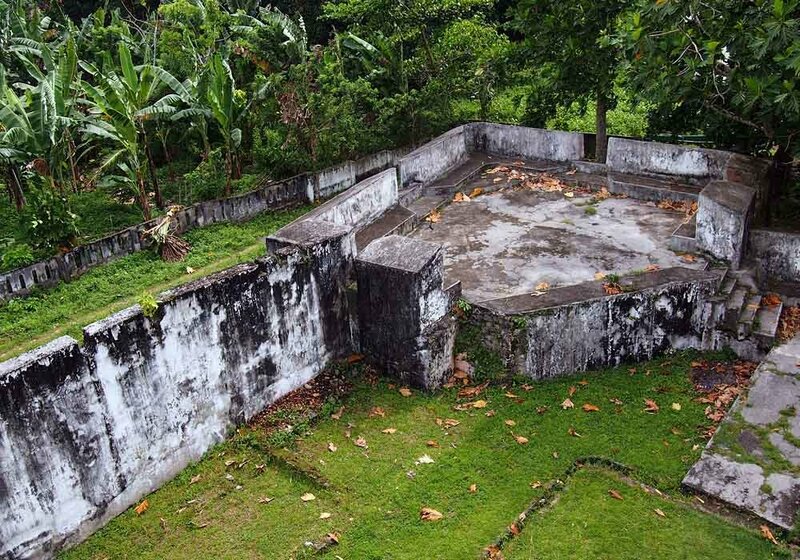 Named after the Dutch Royal Family’s ‘House of Orange’, Fort Oranye in North Maluku’s Ternate City was built in 1607 on the remains of a Malay fort. 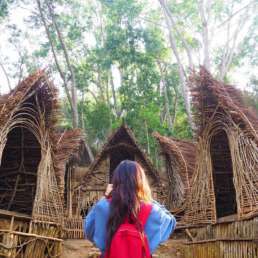 Fort Oranye is in good condition despite numerous earthquakes – and although parts are now used by the Indonesian military and police, it welcomes visitors. 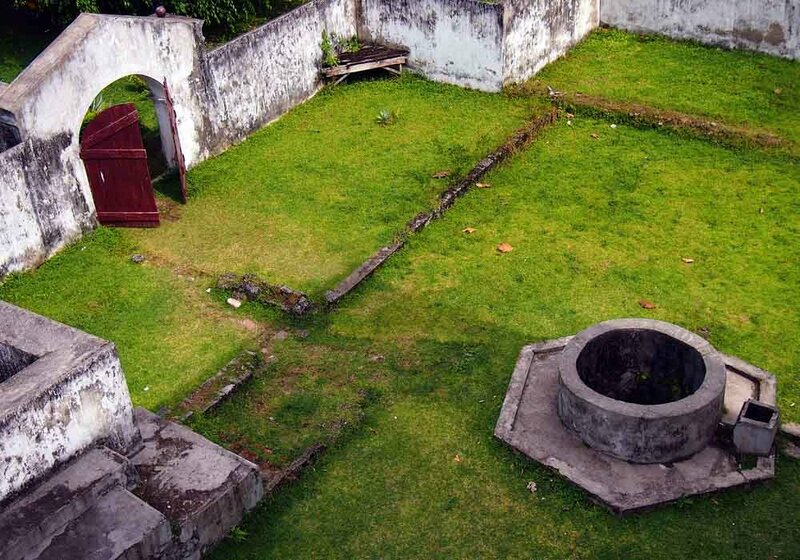 Another VOC outpost built in 1610 on the foundations of an earlier Portuguese fort in Ternate is Fort Kalamata. Guarding the valuable clove trade from pirates and competitors, it can be found 1 km south of Bastiong, and is open to the public. 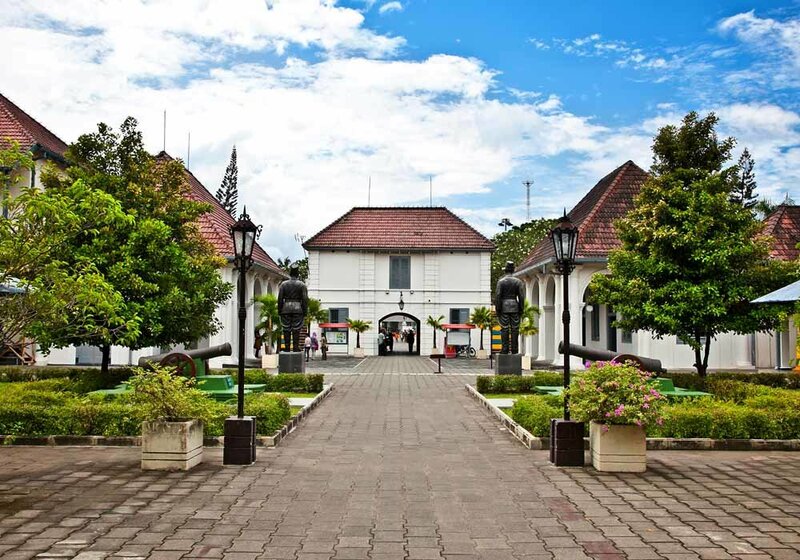 A more accessible legacy of the Dutch East India Company is Fort Vredeburg in Java’s Yogyakarta – now a museum celebrating Indonesian independence from the Dutch. Originally constructed in 1760 and named Fort Rustenburg (“Resting Place”), it was destroyed by an earthquake in 1867 and rebuilt by Dutch East Indies colonialists – who renamed it Fort Vredeburg, or “Peace Fort”. It can be found next to the Sultan’s Palace. The fruits of the VOC: fresh nutmeg. Nutmeg tree in the Maluku Islands. 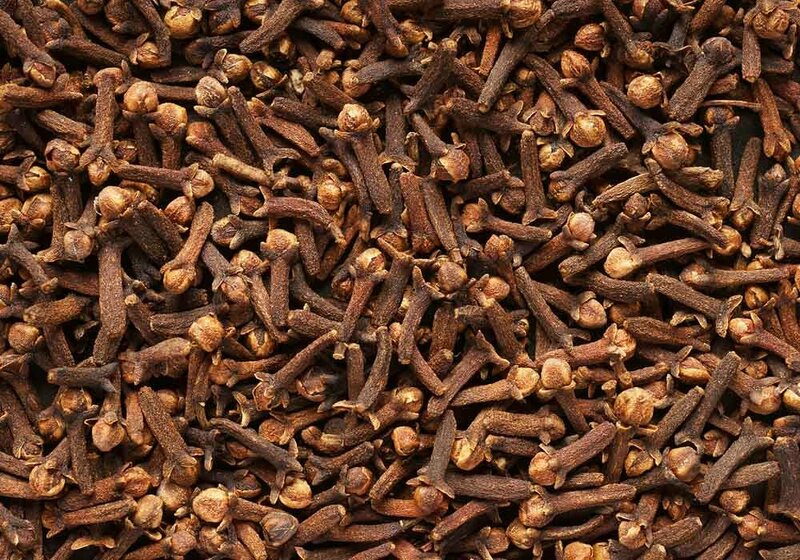 Cloves were also a hot commodity five centuries ago. Reconstruction of the VOC-era sailing ship ‘Batavia’ docked at Bataviawerf (‘Batavia Wharf’) in Lelystad, Holland. Benteng Duurstede in Saparua island, Maluku. 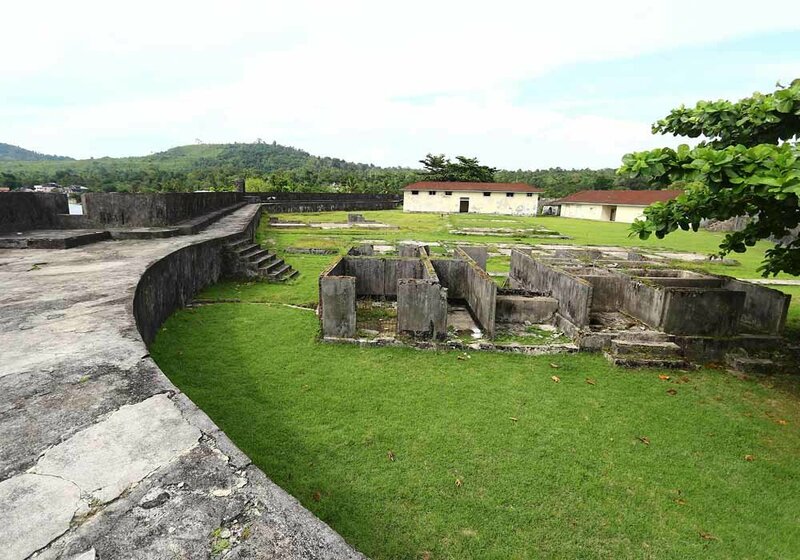 The ramparts and drill-ground of Fort Duurstede on Saparua Island in Ambon. The Dutch East India Company’s logo stamped on a VOC cannon. Ramparts and firing positions inside the VOC Fort Amsterdam on the island of Ambon. Entrance and freshwater well inside the grounds of Fort Amsterdam. Gun emplacements guarding the coastline, Fort Amsterdam. Canal running between Dutch-era buildings in Jakarta’s ‘Old Town’ or Kota Tua on Java. Dutch-era buildings line the streets of Jakarta’s ‘Old Town’, or Kota Tua. Fort Vredeburg – formerly the VOC Fort Rustenburg – in Yogyakarta, Java.